Title programs are federally funded designed to provide assistance for economically disadvantaged students determined through the review of free/reduced lunch forms. Title programs provide assistance primarily in Reading and Math to help struggling students achieve in those areas. Title One schools (schools with over 40% of students at or below the poverty level) are able to provide highly effective, scientifically researched based instruction for all students in the school. --Title one is designed to supplement, not supplant (replace) instruction. Federal funds should never go toward replacing regular classroom instruction, but is used as an addition to it. Title funds are used for supplemental resources (manipulatives, games, puzzles, books, etc. ), not providing the main curriculum. --Title funds are based solely on the number of eligible students per school. 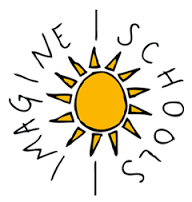 --At Imagine Madison Avenue School of Art, our Title teachers use Scantron, OAA, and Stanford 10 assessment data to guide their teaching and to determine which students need the most assistance. -- We also take into consideration teacher recommendation, parent inquiries, and other classroom assessments to help.